It looks like not all Windows Phone 8 users have been able to update their handsets to the Windows Phone 8.1 Developer Preview, even after following the required steps. While the update does download on the handset, it won't open and cites error 80188309 as the reason. 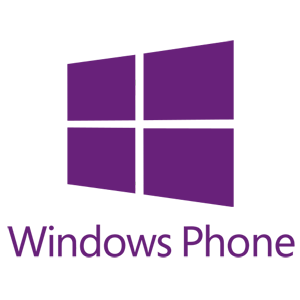 Microsoft has admitted that there is a problem that is preventing some Windows Phone 8 users from updating to the Windows Phone 8.1 Developer Preview and said that it would send out a fix. 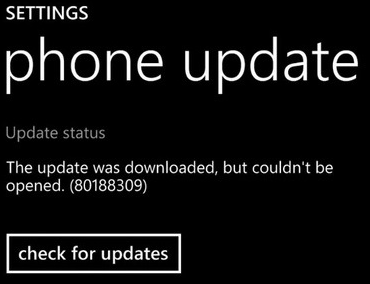 It seems that some Windows Phone 8 owners have even faced the same issue when the GDR3 update was first pushed out, and that the update will have to be fixed for certain models. So it looks like the issue is not just limited to installing pre-release software on your Windows Phone. Unfortunately Microsoft is not willing to give a solid timeline on when they will roll-out the update. A moderator in one of the support forums, promised to pass along the latest news on the issue next Thursday. While most of those complaining about the error message are sporting the Huawei Ascend W1, Microsoft admits that the error message appears on other models as well. If you have run into the same problem while trying to run the Windows Phone 8.1 Developer Preview, leave us a comment and let us know.